Start by telling us who you are, and about your ministry. Our staff will need to verify your position within your ministry to ensure only authorized staff has access to edit your ministry profile. After being approved by our staff, you will be sent your login credentials. You will be able to start building your profile, adding images videos, events and more. 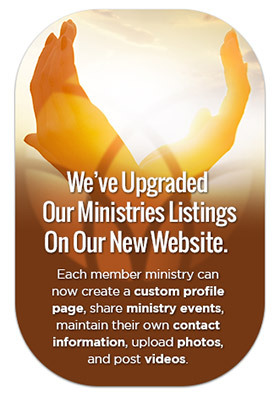 Visit our ministry profile FAQ Page-coming soon!